Granite Hill Camping Resort has been home to the internationally acclaimed Gettysburg Bluegrass Festival since 1979! And we are extrordinarily proud to announce that our Founders, Joe & Lil Cornett were awarded the Distinguished Achievement Award by the International Bluegrass Music Association on September 27, 2012. This award is in recognition of thier pioneering accomplishments that have fostered bluegrass music’s image and broadened its recognition and accessibility. Congratulations Joe and Lil. While we focus strongly on traditional and contemporary Bluegrass music, we’ve been known to sprinkle our lineups with classic country, newgrass, and other related acoustic styles. With approximately 25 bands on two stages over four days, there is something for every fan of this pure Americana genre. Additionally, each actual festivals features informative workshop presented by your favorite artists Vendor Row featuring food, merchandise, and arts & crafts, as well as, many other activities to fill your days when not enjoying the music. 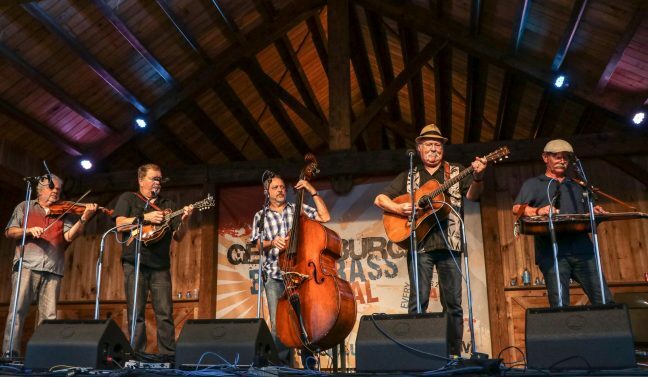 Mark your 2019 calendar for the 78th and 79th Gettysburg Bluegrass Festival. For tickets, line-up and information visit the official Gettysburg Bluegrass Festival website and “like” us on Facebook.